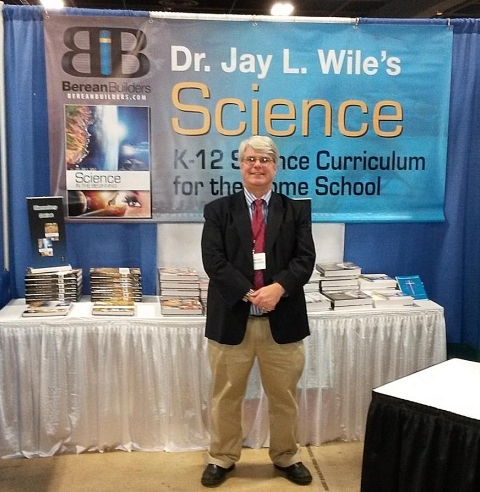 This is me standing in front of my publisher’s booth at the Southeast Homeschool Convention. As I wrote in my previous post, last week was a very busy week. It started off in North Carolina, where I spoke at a church, a bookstore, and two classes made up of homeschooled students. I then traveled to Greenville, South Carolina to speak at the Southeast Homeschool Convention. 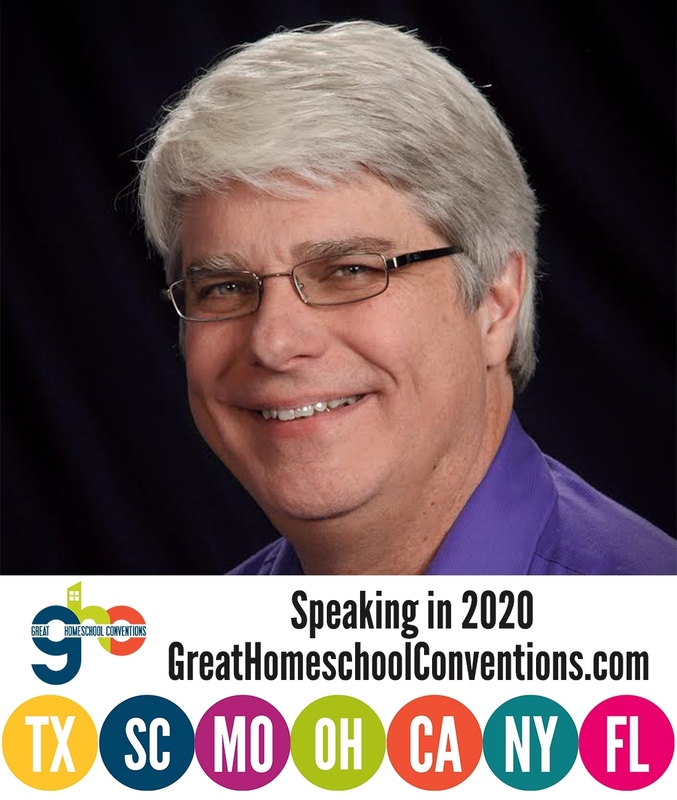 This is part of the Great Homeschool Conventions, and I am scheduled to speak at all of them this year. I did the same thing last year, but this year was different, because I now have new books to sell. Last year, I just sat in an empty booth and waited for people to come to talk with me. It got to be a bit dull at times, because without something in the booth, most people passed right on by. Of course, I had several great conversations with people who specifically sought me out to talk with me, but there was a lot of “down time” in between those conversations. This year, my new publisher (Berean Builders) had a booth, so when I wasn’t speaking, I hung out there. The publisher had my new elementary series, but it also sells the books I wrote with my previous publisher, so people could come to that one booth to see all the books I have written over the years. The attendance at the convention was great (up significantly from last year), and I got to speak with a lot of people, both after my speaking sessions and at my publisher’s booth. I did three solo talks this year: Recent News in Creation Science discusses some of the more recent scientific studies that confirm the predictions of young-earth creationism or falsify the predictions of evolution. The Bible: A Great Source of Modern Science discusses some of the scientific facts that were written in Scripture long before science figured them out. Finally, Teaching Elementary Science Using History as a Guide discusses the rationale behind my new elementary science series. I also did two talks with Diana Waring, who not only has an excellent history curriculum but is also about to re-release a series called Experience History Through Music. This three-CD/book set allows you to hear some of the classic songs written during different parts of U.S. history and learn the history behind them. It is a delightful product that allows students to not only learn history, but experience it! It would be an excellent supplement to any study of U.S. History. The talks we did this year were I Didn’t See That Coming and Arguing to Learn. The former was about what to do when your young-adult children make decisions that are unexpected, and the latter is about how debating different points of view can be an effective learning tool. Her parents obviously weren’t pleased when she came home and told them the news, but they agreed to let her go. However, she had to promise that when she was done with that academic year, she would come back home and go to college. She ended up breaking her promise. She has adopted 14 Ugandan girls and runs an organization that provides assistance and school fees for hundreds of Ugandan children. She is literally changing lives where she is, and while this wasn’t what her parents had planned for her, it is exactly what the Lord had planned for her. She wrote an incredible book called Kisses from Katie, and I strongly recommend that every Christian read it. It shows you what can happen (both good and bad) when you follow the Lord’s leading in your life. Clearly those are the words of a young lady with a heart for missions. Can you imagine her going to college and learning to be a CEO, scientist, or TV weatherperson? Of course not! Her heart had been forged by God to do missionary work, and it would have been a travesty had her parents forced her to follow their goals. I think Katie Davis offers all parents a lesson about how we need to nurture our children as they get older and start following God’s path for their lives. We need to be there offering our point of view, telling them anything we see that might be unwise about their intended path, and telling them what we think they should be doing. Like Katie’s parents, however, we need to entertain the possibility that God has something completely different in store for them. If that’s the case, we need to put our priorities for them aside and assist them in following God’s plans! Dr. Wile, that seems like excellent but rare advice. Have you gathered enough evidence through your talks to make a guess about why some parents refuse to allow their kids to follow their own plans, or about the effects of parental overriding? Or have you discovered any characteristic groupings of the parents who tend to override, or of those who don’t? Thanks for your questions, Bill. I am not sure I have good answers, however. I suspect that there are many different reasons why some parents don’t allow children to follow their own plans. I haven’t really learned enough about such parents to hazard any guesses as to what they might be. In terms of the effects of parental overriding, my only information comes from sources like Quivering Daughters, and in that book, it often leads to estrangement between parent and child. As far as characteristic groupings of parents, I think those who rely on formulas and rules are more likely to override their children’s plans than those who try to rely on being led by the Spirit. So, for example, those who are committed to the rule that women should not work outside the home will obviously try to override any of their daughters’ plans to pursue a career outside the home. Those who try to be led by the Spirit will at least be open to the possibility that the Lord might be leading one or more of their daughters to work outside the home. Will you be at Mass Hope this year? WE always look forward to your workshops? Unfortunately, Nicea, I will not be there this year. I love the Mass HOPE conference and would really enjoy speaking there again, but I have not been invited for three or four years.